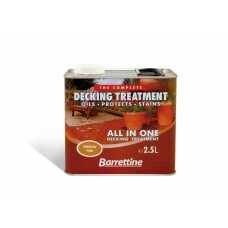 Barrettine Decking Treatment 2.5 litre. 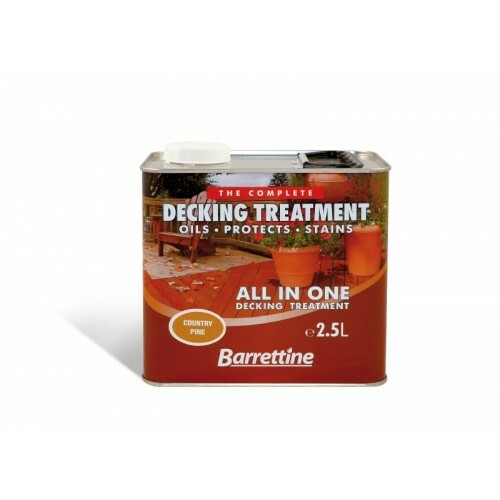 For use on all pre-treated, pressure treated and preservative impregnated timber, offers superb protection to decking boards, deck tiles and balastrading. Also as a superior finish to any garden buildings and fencing.